Complete walkthrough / guide of the game! Hi to all, and welcome to my guide of Chamber of the Sci-Mutant Priestess. I will try to be as spoiler-free as possible - it will not be an easy task, but I will try. Before embarking on the walkthrough, I will give you some "generic” advices - they are probably useless if you follow the guide, but they can be useful. DON'T use the Sci powers without a reason: the energy is limited, and is necessary to complete the game. DON'T throw or use the items randomly - it’s really easy to lose them irredeemably! DON'T provoke without a reason the Protozorq (the guards that you can find around): even if you have a weapon, or you use the Sci power Extreme Violence, you will create a commotion, and a lot of guards will attack and kill you. DON'T save the game randomly: you have only one save slot, and in this game is possible to make mistakes that could compromise the completion. If possible, save only when you are relatively sure that you are on the right path. Now let’s begin with the "real” guide. In this game there are more than one way to reach the ultimate goal, but there are essentially two big paths: or you try to become a Divo, by winning the five Trials at the beginning of the game, or you skip all of them, by exploiting a secret passage present in one of them. The second one is faster, because thanks to this path you will reach directly the second part of the game, but you will need to do some special "actions”, because you will need a specific object that, normally, you will automatically get by becoming a Divo during the Trials. Regardless of what you decide to do, you will start the game in the beginning section of the Trials, and the Master of Ordeals will give you an object from a pool of four. The structure of this area is simple: is basically a circle, with some doors that give access to the Trials, and a "free passage” which will allow you to reach a second, larger, outer circle that surrounds the Trial rooms. In the center of the inner circle there is the room of the Master, inaccessible at the beginning of the game (you can try your luck, but the guards will kill you), while along the outer circle there is a passage that leads to the second part of the game (this part is, of course, unattainable initially). So, what path do you want to follow? Trial yes or Trial no? Section 2 (and the other relative subsections) will be related to win them, the section 3 to skip them. THE TWINS (from the outer circle the trial is accessible from a room named THE SOURCE). To win the trial, you will need an object named Goblet. THE NOOSE. To win the trial, you can use only the Sci Power Solar Eyes. Alternatively, it’s possible to use the object name Lantern. THE WALL. To win the trial, you will need the object named Dagger. DE PROFUNDIS. To win the trial, you can use only the Sci Power Sticky Fingers. Alternatively, it’s possible to use the object named Rope. IN THE SCORPION'S PRESENCE. To win the trial, you will need the object named Stone Fly. So, two trials do not require objects, three yes. If you know alternative methods to win these last three trials without using objects, you’re welcome, but I don’t think it’s possible. The Master, at the beginning of the game, will give you a random object that you can use on the trials - Lantern excluded. Let’s make some considerations: you will necessarily need the Dagger, the Goblet and the Stone Fly to pass three of the trials, but you will start only with one of the object (or with the Rope, that is not essential). To get the other items, you will either need to use the Trader, which will allow you to exchange a skull and an object for another object of your choice (we will come back to this later), or you will have to exchange with / kill the other adepts. The second method, sincerely, is the easiest. If you are bloodthirsty, go to the outer circle looking for an adept and attack him with Extreme Violence (or the Dagger) to kill him and steal one of the objects you need from his body. I’m specifically suggesting to go to the outer circle because if you do the same thing in the inner one, the Protozorq guard will attack you. For the record, sometimes you can kill the adepts even without Extreme Violence, while sometimes even with the Dagger and the normal attack you can lose the battle - just save before. If you are not bloodthirsty, you must do some considerations: the Stone Fly is the only NON-recoverable object, so if you start with it, and immediately pass the test (In The Scorpion's Presence), you will find yourself without objects - this means that necessarily you will have to kill an adept to steal his object if you want to go ahead. If you want to follow the pacifist way, and you start with the Stone Fly, immediately look for an adept and exchange it for another object that is not the Lantern (because is useless). The other method of exchange, which requires luck and a Skull, is the Trader. This is a kind of... blue cylinder, located in the inner circle: talk with the Protozorq under it so you can exchange a Skull with the possibility to use the Trader - you can choose which object you want from him but you cannot get it directly, you will have to win first a game of the three glasses (a skull is hidden under one of three possible glasses, the Trader will move them randomly, you will have to guess under which glass is the skull). So you will need: a Skull, an object to exchange and... luck. If you have a skull but not an object, DO NOT try to use the Trader: it’s a stupid thing, but if you interact with him without an object to trade, the trade will be immediately voided, and you will lose the skull given to the Protozorq. To avoid the "luck problem” instead... ALWAYS save first: if you choose an empty glass, reload the game. In each of the following sections I will explain you how to win the various Trials: the order is obviously not significant, but depends on the objects you have with you. Click on Zone 3, then Zone 2. Enter any of the two side doors. Click on Step and then on "Climb On". Click on the Dagger in your inventory, and choose "Put in" selecting then the Slot (that kind of slot) on the relief of the knight on the wall. After the scene, pick up the Dagger (it’s present between the objects in the room) and enter the narrow and dark passage (do not click beyond the sliding wall, or you will leave the Trial room). Click on A Deep Cavity and select "Stick Your Hand In" to find the Skull. Then go back and exit the Trial room. Click on the Statue and choose "Pray" or "Talk" to unlock the access to the room called The Web. Enter that room, click on the Web on the floor and select "Crawl". Click on the Stone Fly, select "Give" and then click on the Mistress. Reject the sexual advances X-D and choose "Give Fly to the Blue One" to get the Red Spider. 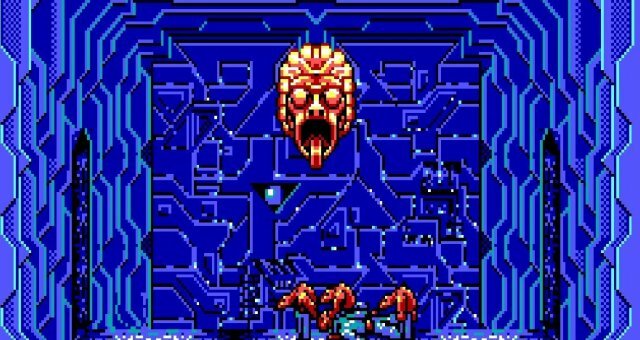 Exit the room, click on the Red Spider in your inventory, "Put In" and then on Opened Mouth (the mouth of the statue on the right). Click on the Trap-Door, "Pass" and you will find yourself with a flaming Skull in the inventory. If you are in the room called The Twins, click on the door on the left to enter The Source. Click on the Fountain and then on "Inspect" to notice the eye of the snake. Click on the Fountain again and then on "Press the Eye" to get water out of the snake's mouth. Collect it with the Goblet ("Fill Goblet" by clicking on the inventory) and return to the room called The Twins. Click on the Serpent on the left and choose "Open" to open the mouth. Click on the Goblet, select "Empty" and then click on the left snake's mouth: you will find a Die. Collect it from the room. Open the mouth of the right snake and put the die in it: you will unlock the door that leads to "Who Will be Saved?". Enter it. 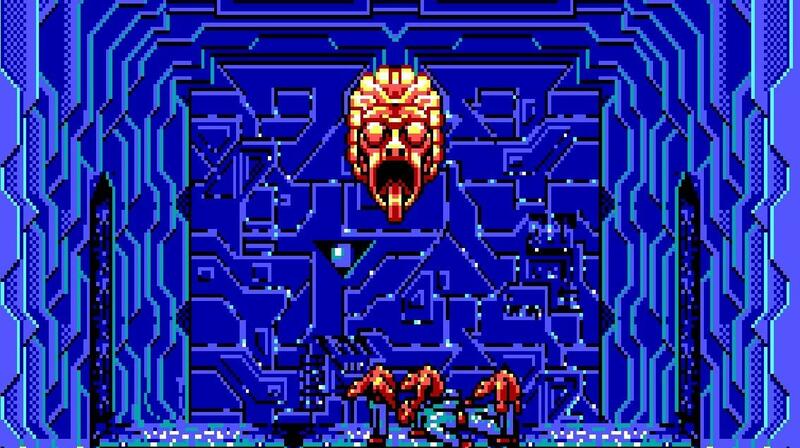 In this strange room "Lift” the left hand and the far right hand, then click on the Serpent's Head and choose "Press". Click on just revealed Engraving and with "Inspect" you will discover a symbol: write it down. Click on the door on the right to return to the room with the fountain (The Source) and open the cube (with "Lift") whose symbol corresponds to the one indicated in the Engraving (use "Inspect" to see it): you will find a Skull. Exit the Trial room. If you have the Lantern the room will be lit, otherwise use Solar Eyes to do it. Click on the rope on the left and choose "Grab Hold". Ignore the man (he will attack you on the first occasion, but it’s easy to kill, even with your bare hands), and click on the Lever on his left and choose "Push". Look for "A Hollow" (it’s a niche at the base of the platform on which the man was - with him hanging he will be roughly between his legs) and select "Inspect": you will find a Skull. Exit the room. First of all... wait, by clicking on the various elements in the room, but without choosing any actions. As soon as you see the hook appear from the ceiling, use the Rope ("Lasso" from the inventory) or Sticky Hands to hang to it. Wait for the statue's head to reappear from inside the water (same method as before, click random items) and choose "Jump on it" to... jump on it. Recover the Rope from the room and wait: the statue will take you to the door at the other side of the room, where you will find a Skull. First of all, you will get the Egg from the Master of Ordeals. Go to the outer circle and try to exit to the passage that was previously forbidden: the Protozorq guard will try to block you, but by choosing "Show Egg" you can pass. In the small passage where you will be, DON’T go to the Concourse, or you will not be able to exit the area and you will die (if you know a method to survive, well come). If you find a guard, however, the time has come to use strong manners: use Extreme Violence to kill him, and take his Zapstick. If there isn’t a guard, go into the passage on the left and go back until you see one: you will need the weapon. Once you have the Zapstick, follow the passage on the left until you reach some closed bars. Click on the Bolt and choose "Pull", then interact with the Bars and click on "Pass": you will find yourself in the water, along with a pile of corpses and a kind of dinosaur called Delios: use Extreme Violence on him to let it get away from you. Curious note: if you interact with the body on the right and choose "Search", you will find a Skull or one of the objects needed for the Trials. Click on the Water and choose "Dive". Underwater, use Zone Scan to find a passage on the left: take it. Go ahead in the cave, at the junction go left and continue until you find two people: choose "Accept" to throw the Zapstick on the ground (and the Dagger, if you still have it), then choose "Tell the truth" to gain their trust. Take back the weapons from the ground and use Zone Scan to notice the sarcophagus in which the man is sitting. Choose "Lift" by clicking on the Stone Slab to find a sort of mummy and two objects: a Bean and a Flask. Side note: I cannot find a utility for the bean. If you give it to the mummy, it will come back to life, but you will not be able to do much more. And I've never been able to find another use for this object... if you know something more, let me know! So take at least the Flask, and take the tunnel to the left until you reach a metal hatch: you will be in a room called Reflectory. Go down to the Threshold of Truth: you will find a priestess who will attack you - kill her with the "normal” attack option. Use the Egg you have obtained by becoming a Divo in the open mouth on the left (Opened Mouth), and choose "Inspect" on the Lectern to enter the book’s room. Here use Sci Shiftto take the statuette in the upper left corner. Go back and click on the door on the right to reach a place called In The Presence of God: from here continue to the right, towards the room called Placating the Powers. Here you will find two priestesses: kill the first attacking normally, but use Sci Shift two times on the second one to steal from her first the Sacrificial Blade, and then the Mask. After the shocking discovery, use Brainwarp and then "Give flask to drink" to make the woman return to normal. Move two rooms to the left (up to the Saura's Repose) and put the Statue of Saura that you have recovered a little while ago in the niche where the other is present. Click on the Monkey and choose "Put in the Tunnel". Go back to the room called in The Presence of God and wait: the wall with the starry vault will open (good monkey!). Enter in the passage. Click on random items in the room or wait, in any case you will be blocked by the arrival of two "shady" characters. Use Extreme Violence to kill the one that will attack you, then Brainwarp on the other to trigger a scene. Use Sci Shift on Trap-Door to close it, and then... wait. As soon as the hostage is on the ground, throw (with "Throw", from the inventory) one of your weapons to the enemy and... congratulations, you have finished Chamber of the Sci-Mutant Priestess! If you want to follow the "easy" road, ignore the object that the Master of Ordeals will give to to you and go to the Trial door called The Noose. You will find yourself in a room completely in the dark: use Solar Eyes to "illuminate" it. Click on the rope on the left and choose "Grab Hold". Ignoring the hanging man (which is less defenseless than it may seem), click on the Lever on his left and choose "Push". Immediately under the lever there is an eye (Eye): click on it and choose "Press" to reveal a secret passage on the right. From here, go down to a room called The Threshold of Truth. Here, in front of bars blocking the access to a some kind of book, you will meet a priestess who will attack you: kill her with the normal "Attack" (or with "Kiss" X-D). After the fight, enter the door on the right to enter the location called In The Presence of God, then continue right towards Placating the Powers. Here you will find two priestesses: kill the first with the normal "Attack", but use instead Sci Shift to first take the Sacrificial Blade, and then the Mask, to the second one. After the "shocking" revelation, use Brainwarp to stun woman, and then choose "Give Flask to Drink" to bring her back to herself. Now it’s time to recover the item you should have received at the end of the Trials: the Egg. Click on the Altar and then on "Inspect" to notice a lever on the right, which you must press to open the hatch. Go back to the Reflectory and use Sticky Fingers to reach the Trap-Door and enter the caves again. Go back to the room with the man and the woman and go to the right, then go straight ahead and finally inside the passage to the right, to find yourself again in the dark in the trial room The Noose. Use Solar Eyes to illuminate the room and then head to The Master's Orbit. Go around the inner circle (note that there are no more guards) and enter the Master of Ordeals room, called The Master's Eye. Attack and kill the man with the normal "Attack": by inspecting his body with "Search" you will find a Whistle. Once collected, select it in the inventory and choose "Whistle" to open a secret passage: inside you will find an Egg - this is the item that is given to the Divos at the end of the Trials. Take it with you. Curiosity: if you enter this room after passing the Trials, you will get a second egg - a great souvenir to take home at the end of this adventure! Exit the room, look for the only open passage in the inner ring (all the rooms of the Trials are closed and sealed) and from there reach the outer ring. Walk along the corridor until you find an open passage leading out of the ring: enter it. Paying attention to NOT open the door in front of you (which leads to The Concourse, or to a group of guards, or to certain death), go left and follow the passage until you come across some grates. Click on the Bolt and choose "Pull" to open the passage, then click on the Bars and "Pass" to find yourself in the room where the corpses are thrown from the altar of the priestesses. Here use Sticky Fingers to enter the Tunnel at the top, and then click on Up to find yourself in the room called Placating the Powers (this is why you need to open the hatch of the altar before). Here there is a little side note to do: there are various methods to go to the rituals rooms but, at this point of the game, most of them are impracticable. First of all, the secret passage in The Noose is inaccessible (you can leave the room, as we did before, but you cannot re-enter the room again after leaving). You can face Delios (the monster in the room where the corpses are thrown) and then use the secret underwater passage (as I show you in section 2.2. ), but the only weapon capable of stopping the creature is the Zapstick, which is difficult to have now (I think it's impossible, actually). You can get one during the Trials, but it’s not easy: you need to steal one from a guard and then flee inside The Noose. Notes aside, from Placating the Powers go left towards In The Presence of God and then down to The Threshold of Truth, to find yourself near the barred room where you kill the first priestess. Put the egg in the open mouth on the left to open the bars. Go to the now open room by clicking on the Lectern and selecting "Inspect": here use Sci Shift to collect the statuette located at the top left. Go back, and move up to the room called Saura's Repose. Here put the newly recovered statuette in the Niche along with the other, and then click on the monkey and select "Put in the tunnel" to let the primate enter the tunnel that has just opened. Once you have done this, click on the door in front of you to go back to the In The Presence of God location, and click on a random object (without doing any action) to see the starry wall opening up like magic (actually you only have to thank the monkey!). Enter inside. Click on random items in the room or wait, in any case you will be blocked by the arrival of two "shady" characters. Use Extreme Violenceto kill the one that will attack you, then use Brainwarp on the other one to trigger a scene. Use Sci Shifton Trap-Door to close it and... wait. As soon as the hostage is on the ground, throw one of your weapons at him and... congratulations, you have finished Chamber of the Sci-Mutant Priestess!